Brace yourself for pricier guacamole this summer. As more people are drawn to avocados for their flavor and health benefits, consumption of the popular superfruit has spiked in the U.S.: Americans consumed 6.5 pounds per-capita in 2015, up from 3.5 pounds in 2006. Bloomberg reports that demand for avocados has surged in China and Europe as well, and prices for avocados from Mexico—where over two-thirds of avocados eaten in the U.S. come from—have increased significantly. The wholesale price of a box of avocados is "more than double what it was a year earlier and the highest in data going back 19 years," Bloomberg wrote. In the U.S., California is the leading producer of avocados and a heat wave last summer hurt production - further adding to the price hikes. In some cases, supermarket prices for avocado prices doubled in less than six months last year. A single avocado cost around $2 in some parts of the country, up from less than $1 not long beforehand. Prices are expected to remain exceptionally high at least until fall of 2017, when the next crop of avocados from Mexico should be ready to be spooned into guacamole. 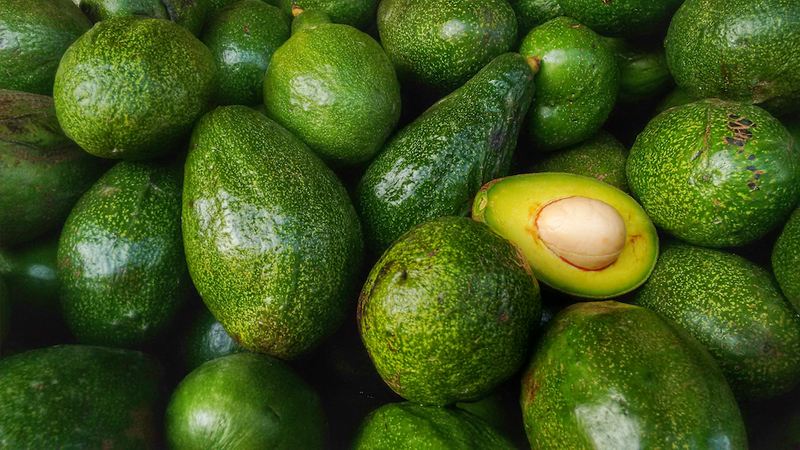 Even if it's a great year for Mexican avocado crops, however, consumer prices could skyrocket further if a much-discussed import tax is applied to goods coming into the U.S. from Mexico. The Trump administration has publicly discussed the possibility of an import tax for months, and the U.S. imports more strawberries, avocados, tomatoes, onions, chili peppers, and raspberries from Mexico than it does from any other country. If these goods are taxed as they enter the U.S., the higher costs will inevitably be passed along to grocery shoppers. Then again, if California farmers have anything to say about it, homegrown avocados may rapidly be on the rise soon. Right now, the most popular kind of avocado can only be grown in southern California at certain times of year. But NPR reported recently that farmers are experimenting with new breeds of avocados that could be grown year-round all over the state. At least two new varieties are expected on the market within a year or two. Will they be tasty enough, and will there be enough of them to meet consumer demand? We'll have to wait and see—or rather, taste.